My friend Gina had a great idea. 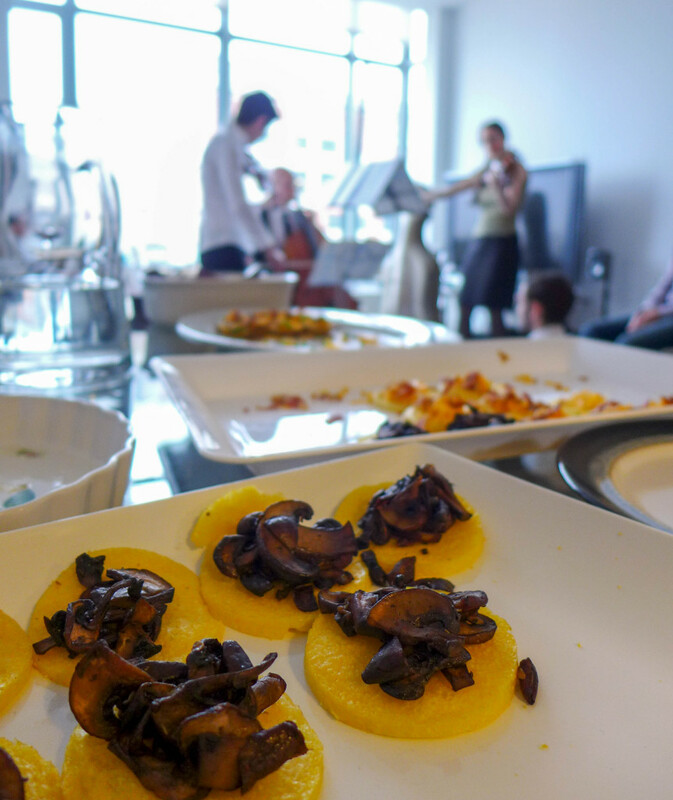 Why not get a group of friends together one lazy Sunday afternoon, make some delicious snacks, pour some drinks and then invite a string trio to entertain everyone? 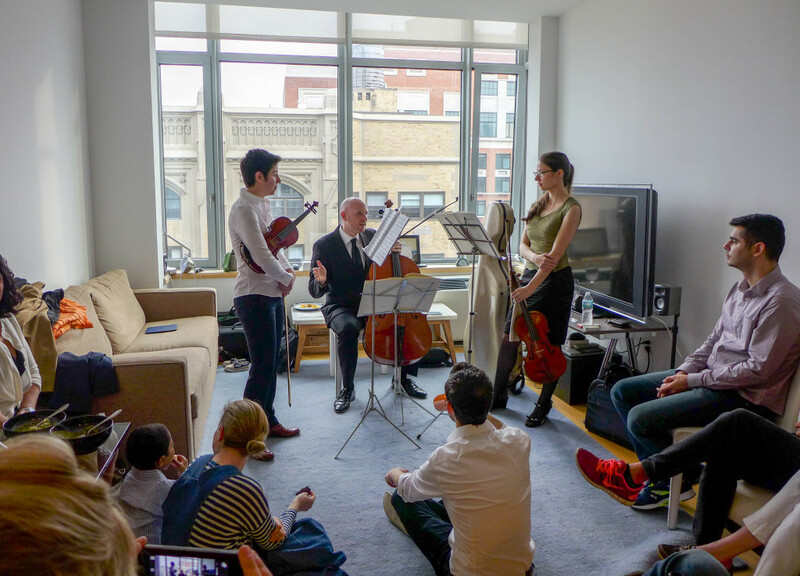 She turned to GroupMuse, a website that organizes the whole thing for you (minus the snacks), and on Sunday, three very friendly musicians headed to her apartment in Brooklyn Heights, set up in her living room and played us Beethoven’s 9th Symphony. While the whole thing might seem a little fancy, I like the idea that a potentially stuffy show can be enjoyed in a far more relaxed environment. 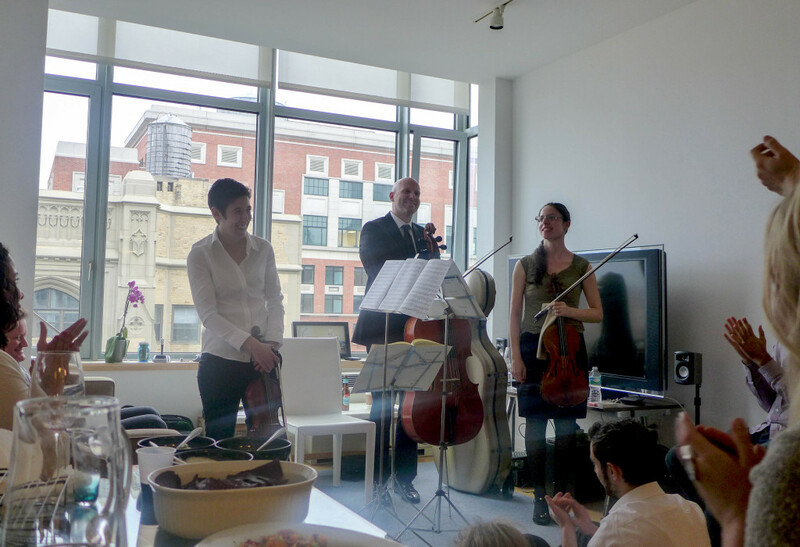 The experience was so casual, making it accessible to people who might otherwise be put off by the city’s classical shows. And you don’t need to traipse to Midtown, shell out $15 a drink or spend ages queuing for the loo. The musicians got paid in our donations ($10 each) and we got an added bonus with our show — a conductor, of sorts. Among the crowd was this five-year-old cutie who told his mum he wants to be a conductor when he grows up. So throughout the performance, he waved his hands around as if he was leading the musicians. Amazing. 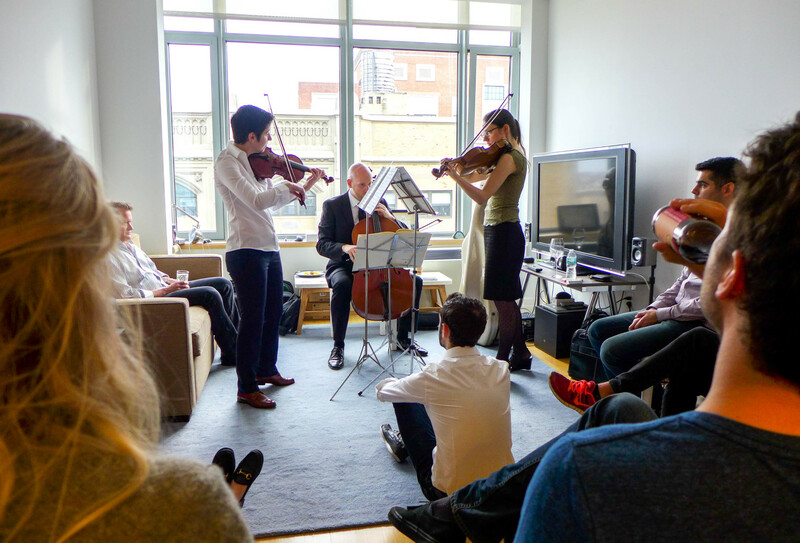 You might not be able to get a whole orchestra in your mini-New York City apartment, but the website gives you a choice of the type of music and performers you’d like, as well as the sort of event you’ll be hosting. A pretty nifty idea for a party or special event, I reckon. And if you don’t want to host one yourself, it also provides a list of dates and locations where you can go to watch performances near to where you live. 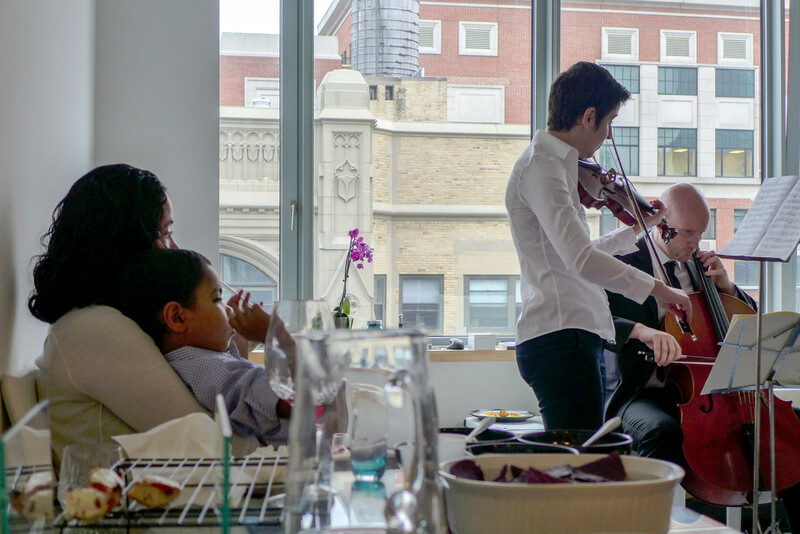 All in all, a great idea that’s beneficial for both us and the musicians… and hopefully for our mini future conductor, too. 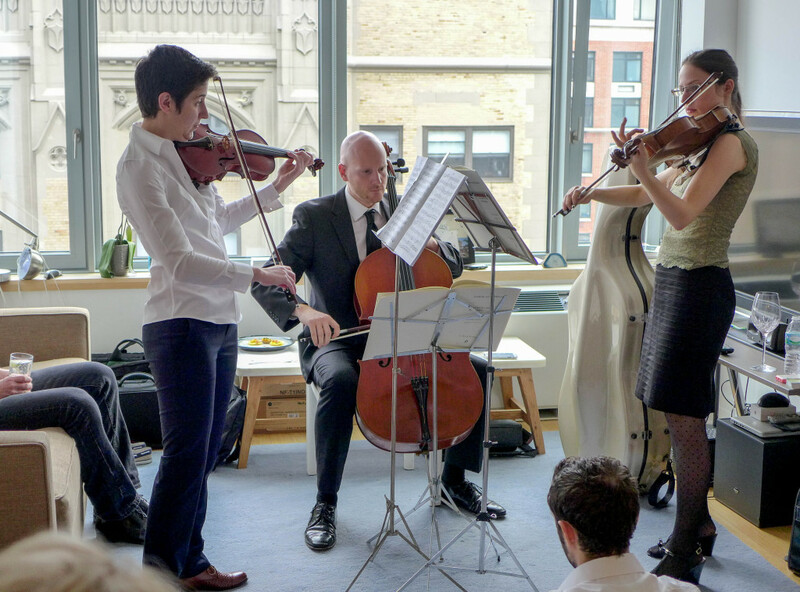 GroupMuse runs intimate chamber performances across the city. Visit here to see how to host one, or here to see a performance that’s already planned. Each event is BYOB and the musicians get paid with your donations. I thought so too! A lovely way to spend a Sunday afternoon. Amazing what you can achieve in the City that never sleeps, that being NY. I bet all these were fun packed hours Lydia!!!!! 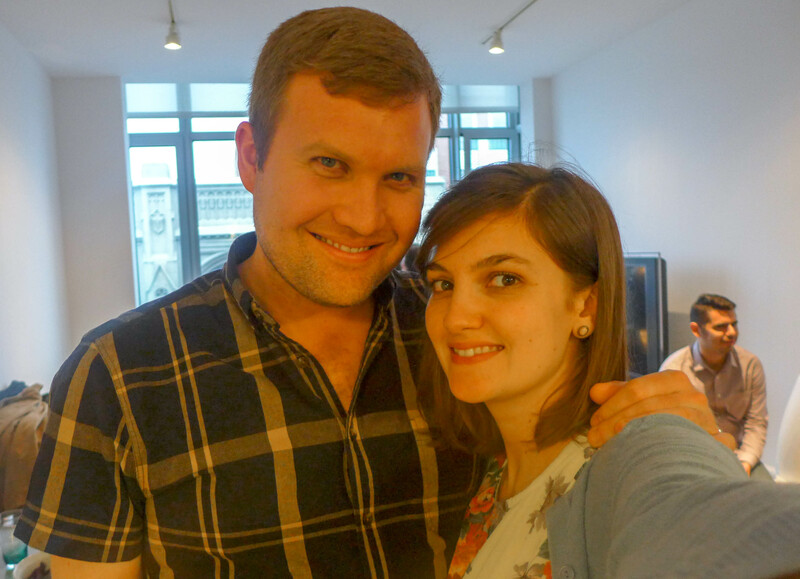 UsedYorkCity Inspiration #25 | Used York City | The best of NY, as used by NYers. omg i adore this concept! thanks so much for the info–i think this would be such a fun addition to a cocktail party! :-) a really decent price, too! Yes definitely! I think our host had to guarantee that 16 people would go but the idea is so novel that it wasn’t hard to reach that number.